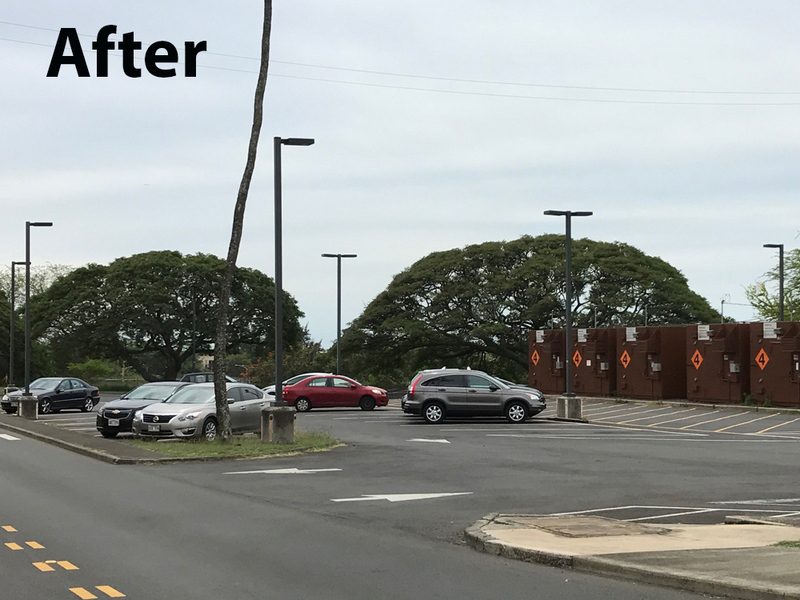 A sprawling U.S. military base in Hawaii had a number of parking lots in need of a durable and reliable lighting solution to enhance employee safety. 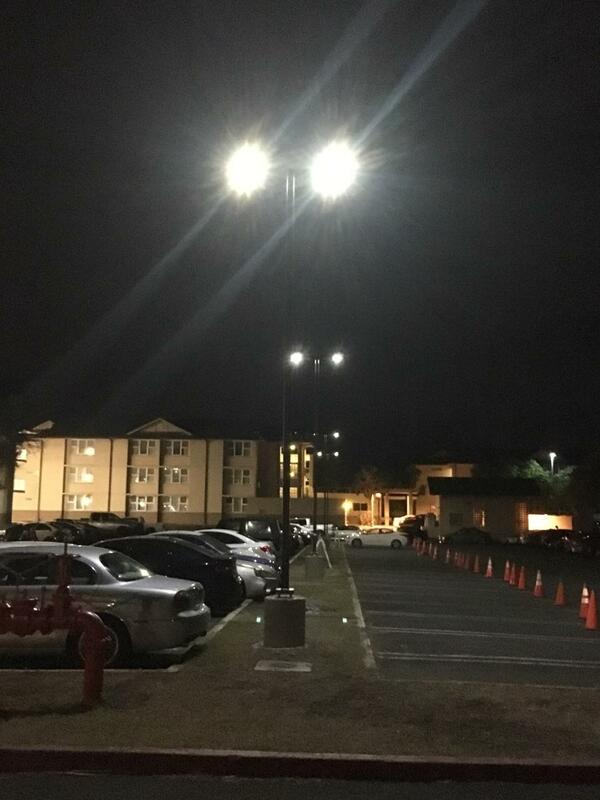 However, one challenge in the way of effectively lighting these lots was that they were not provisioned for lights and creating a connection to the electrical grid would have been costly. While some had been outfitted with large and inefficient early-generation solar lights, they were no longer working and the manufacturer no longer supported the product. Other parking lots simply had never had lights installed. With no possibility of fixing the existing solar lights, the base began to search for alternatives and decided to install First Light’s SCL2 solar powered luminaires for a number of reasons. Not requiring power from the grid means that the base did not have to trench through concrete to lay wires or remediate the parking lots afterwards. 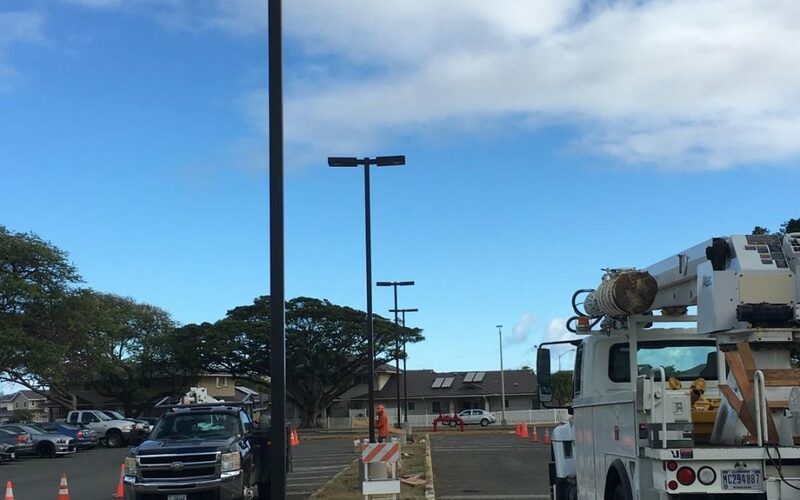 The Department of Public Works Maintenance Leader for the base said he was pleased with the plug n’ play installation of the SCL2 self-contained solar LED luminaire for this project. To go for a wired lighting solution, trenching and cabling through the paved lots to get to a power supply would have been expensive. Solar makes install much easier with only the poles needing to be installed or, in the case where other solar luminaires had been installed, the fixtures were simply swapped out. 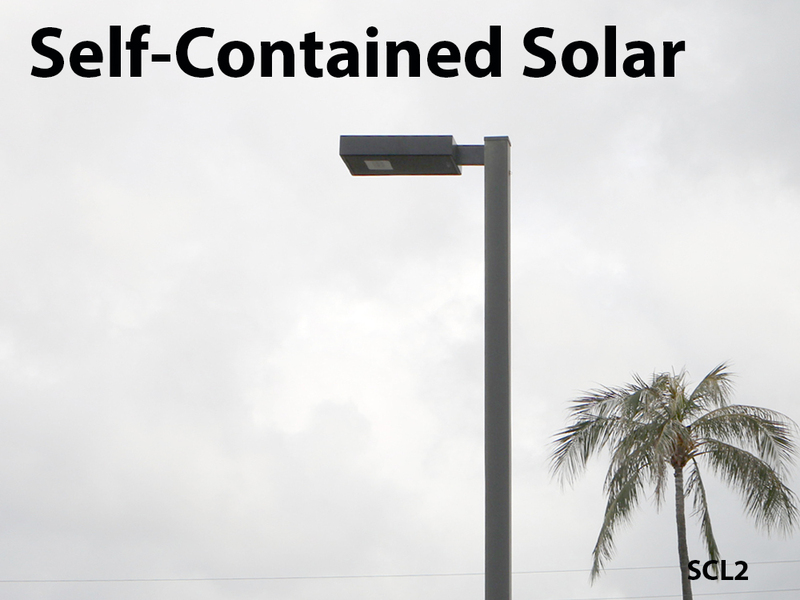 In addition, compared with the previous solar solution, the self-contained fixture was significantly cheaper and LED technology meant that it had a higher light output. The SCL2 is self-contained which means all components of the light are in the fixture itself. 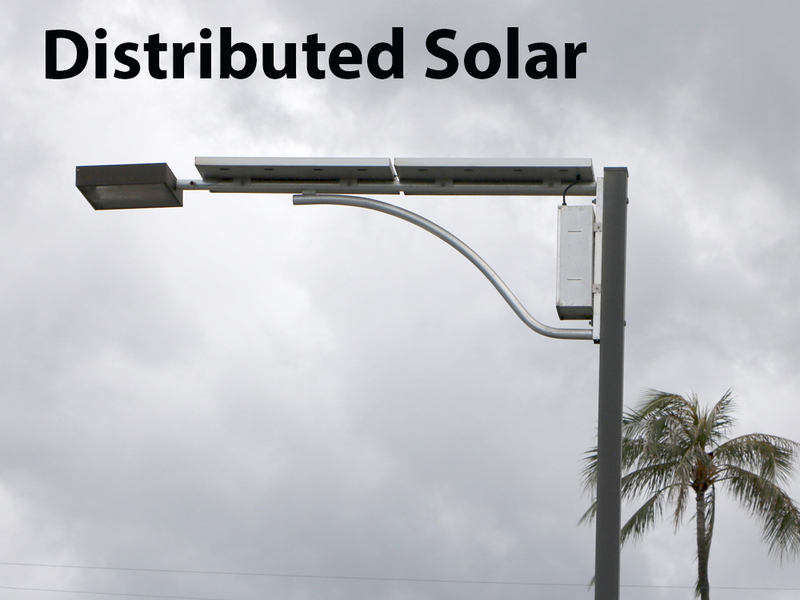 This is unlike traditional distributed solar solutions where the solar module, battery and light fixture are separate and much be installed and connected together on site. With an output of up to 2800 lumens, the SCL2 is able to provide a great deal of light over a wide area. Equipped with smart, adaptive technology, lighting performance and reliability are optimized in all conditions. 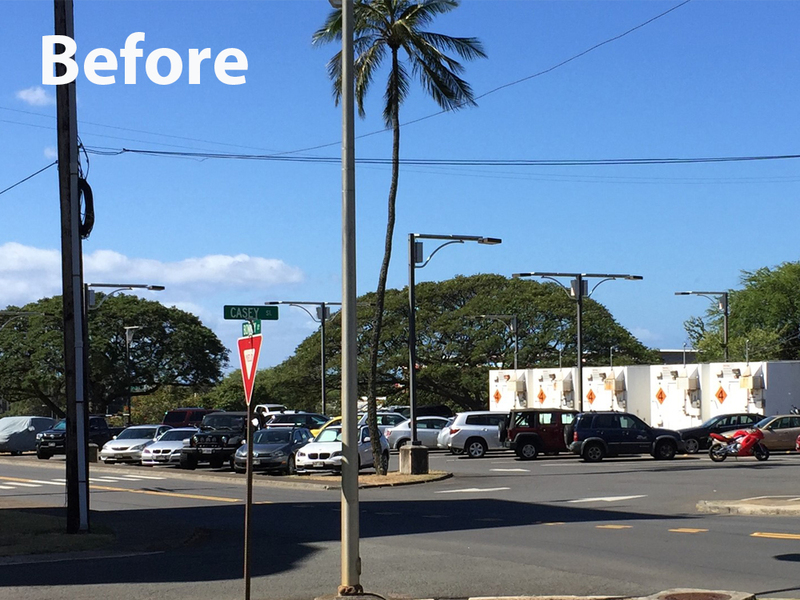 Since First Light luminaires have been installed, the base has been looking at installing more lights in other areas. We look forward to helping provide cost-effective light to improve safety on the base.